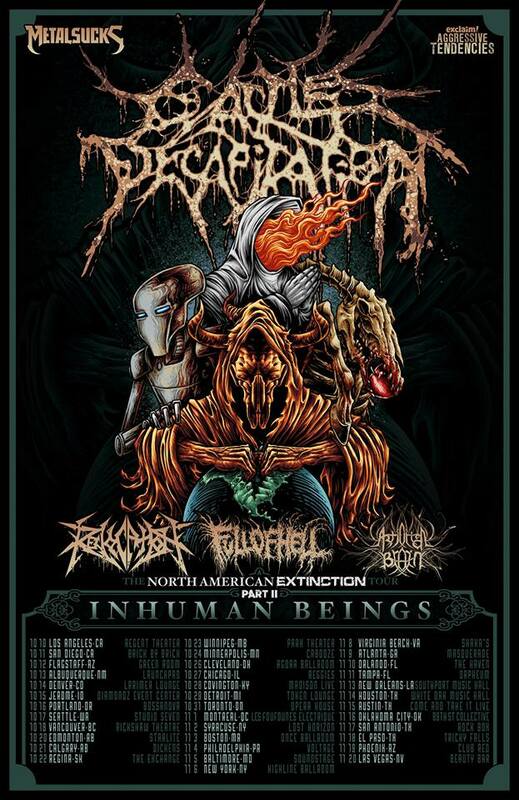 Cattle Decapitation Announces "The North American Extinction Tour Part II: Inhuman Beings"
Cattle Decapitation announces headlining tour, MetalSucks.net & Exclaim! Aggressive Tendencies Presents: "The North American Extinction Tour Part II: Inhuman Beings", with Revocation, Full of Hell & Artificial Brain! Tijuana's mad doctors of gore Thanatology will be opening the first 3 dates! See below for all dates.